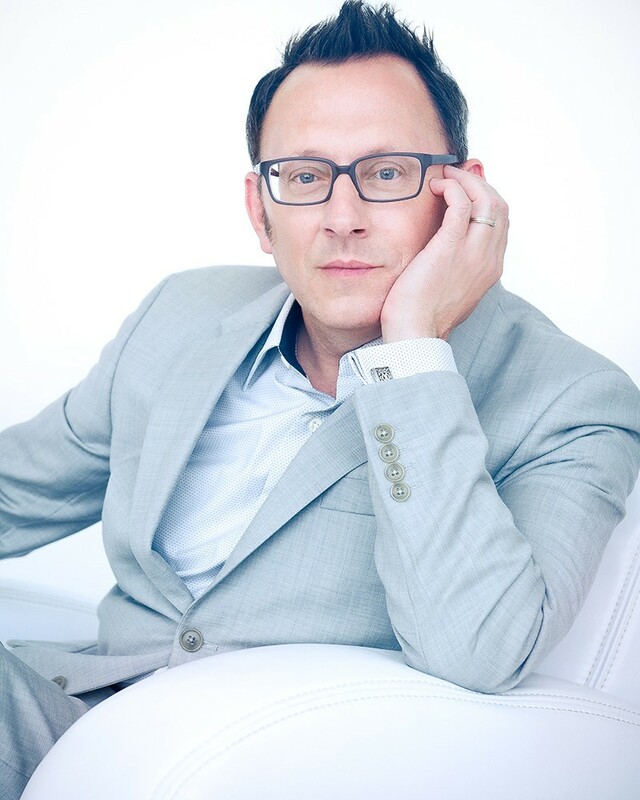 Michael Emerson Interview: "Person of Interest" Star Says, "Fans of the Show Should Expect Casualties"
Michael Emerson is best known for his iconic character, Ben Linus, on ABC’s Lost, in which he won an Emmy Award for his performance. Currently, he can be seen as Harold Finch on the CBS science fiction, crime drama Person of Interest. In this series, Emerson reunited with Lost creator J.J. Abrams and stars alongside Jim Caviezel, Taraji P. Henson and Kevin Chapman. Other television appearances include The District, The Practice (six-episode arc, winning an Emmy Award), The X-Files, Front Line and Parenthood. Films are The Impostor, Playing by Heart, For Love of the Game, Unfaithful, Saw, The Legend of Zorro, Ready? OK!, The Dark Knight Returns Pt. 1 and The Dark Knight Returns Pt. 2. Emerson is also known for his work in the theatre. He starred in 1997 as Oscar Wilde in Gross Indecency: The Three Trials of Oscar Wilde, performed opposite Uma Thurman in Le Misanthrope, played Willie Oban in The Iceman Cometh and co-starred with Kate Burton in both Give Me Your Answer, Do! and Hedda Gabler. The fifth and final season of Person of Interest will debut May 3, 2016, airing two shows a week until its final episode on June 21, 2016. Melissa Parker (Smashing Interviews Magazine): How do you feel about Person of Interest ending, Michael? Michael Emerson: I feel good. I think we were surprised when we first heard that it was coming to an end. You always think that as long as your ratings are high, you’re good to go. But it doesn’t necessarily always play out that way. There were other kinds of concerns and such. Once we got used to the idea, and when they said, “We’re just going to shoot 13,” somewhere in my heart there was a leap of joy because I thought, “Praise God. I think I can get through 13.” I wasn’t sure I could do another 22. It became a challenge, not so much for the cast, but became a writer’s challenge like, how can we wrap up all these storylines, all these character narratives and do it in a really satisfying, dramatic way? I think they have pulled it off. I did not know what the ending was going to be until I read the final script, and I thought, “Oh, that’s alright. That’s a human ending, not some contrivance or irony or device.” I’m really pleased with it and at peace with it and so happy that I’m not still out there shooting (laughs). Melissa Parker (Smashing Interviews Magazine): The first part of the season will be concentrated on bringing the machine back? Michael Emerson: Yeah. Of course, naturally that has to happen because everything was so dire at the end of season four. We don’t even know if the machine can work again after being so hyper-compressed and battered and kept without electricity for so long. The writers have been smart. Instead of us just miraculously getting the machine back, they show us step-by-step how that might work and what interesting, dangerous and sometimes humorous problems they encounter along the way in trying to bring the machine back to life in all its glory. Our writers are really sharp, I think. They did a great job. Melissa Parker (Smashing Interviews Magazine): Are there casualties in the end? Michael Emerson: Oh yeah. Fans of the show should expect casualties, and there are some. It looks really bad just before the end. It looks really bad. But I think in the way it has been handled, there are key survivors, so that years from now, if somebody had a brilliant idea about how to do the next generation of Person of Interest, they could pick it up. It wouldn’t be too implausible. It’s fully satisfying. It certainly brings to an end these 103 episodes in a satisfying way. It addresses all of the issues of the series. Melissa Parker (Smashing Interviews Magazine): How has Finch evolved over the years? Michael Emerson: Well, on some level, Finch is a kind of constant. You know his moral outlook, his certainties about technology and their limitations and his philosophical standpoints have been constant. I do think that there has been some evolution of him coming out of his shell a little bit over the course of 100 episodes. I think he’s less the loner on a suicide mission and more of a man with a family now and not just a human family. One of the interesting developments has been his sense of paternity for the machine. As much as he would hate to admit it, I think we’ve already seen that he feels something about it like it is his child. I think it touches his heart when he sees that his creation, which he claims is just a tool and just a piece of machinery, shares his values. He sees that it is discreet and careful about people, and that it has what would pass for feeling or self-awareness, has a wish to do good and has an innocence. If we saw those in a biological child, that child would be very dear to us. I think his mechanical child turns out to be very dear to him. Melissa Parker (Smashing Interviews Magazine): Were you a science fiction fan when you first read the script for Person of Interest several years ago? Michael Emerson: I’m not a big science fiction reader, but I like the idea of it, especially for television. I had read a lot of scripts between Lost and Person of Interest. This one seemed to me to just snap, crackle and pop. It had a great setting. It happened in secret, in the dark, in a great metropolis. It was a kind of ongoing suicide mission. They are avengers of a sort, crusaders. All of that just seemed good to me. Melissa Parker (Smashing Interviews Magazine): When did you realize you wanted to become an actor? Michael Emerson: I think I’ve had that realization off and on since I was maybe 14. I did speech and debate in high school. When you go to a little country high school in Iowa, you may or may not have a drama club, but you always have speech. You go to district contests and state contests, and you do monologues or one-act plays. I always found that I was good at that, and I really liked it. It interested me, and that’s what I studied as an undergraduate in college. When I moved to New York City, I just couldn’t figure out how to make that happen. I knew I was an actor, but I couldn’t figure out how to be an actor in real terms. So I fell into another line of work for a good long time. Then in my early 30s, I managed to circle back around and pick it up again and have been working at it ever since. Melissa Parker (Smashing Interviews Magazine): Your journey was from Iowa to New York to Alabama? Michael Emerson: I became a magazine illustrator in New York in the late 70s, early 80s. Then a romantic entanglement took me to St. Augustine, Florida, where, for a variety of reasons, I found myself high and dry and all my bridges burned. I thought, “Okay. Here I am in a situation where I have to start over. I might as well do what I please.” I took odd jobs by day, but I started doing community theatre at night in Jacksonville and St. Augustine and eventually worked my way around to the theatre cities of the South like Jackson, Little Rock, Montgomery and Atlanta. When I thought that I was convinced I could do it, I thought I should work my way back to New York. But I didn’t know if I was ready to just come here cold turkey again. Friends recommended to me that I go into some kind of conservatory program and get a master’s and test myself against professional players and professional directors. The Alabama Shakespeare Festival had such a program, and my new brother-in-law, John Preston, was a graduate of that program. I knew him before I knew his sister, Carrie, who is now my wife. He seemed to me to have a really good life. He did classical plays 8 months out of the year and had a break in the middle where he could go to another theatre or go on a trip or whatever. I thought that I wouldn’t mind having my whole life focused around these verse dramas. I got into that program, and that’s where I met Carrie. We got married in Macon, Georgia, by the way. That’s where they’re from. When I graduated, I followed her to New York City and tried to make a go of it again. Melissa Parker (Smashing Interviews Magazine): I spoke to Carrie a couple of years ago when True Blood ended and asked what attracted her to you. She told me that it was your talent first. Melissa Parker (Smashing Interviews Magazine): Carrie said that she was smitten by your talent and then enchanted by everything about you. I thought that was very sweet and romantic. Michael Emerson: Yeah, it is, and you tell it really well. Thank you. Melissa Parker (Smashing Interviews Magazine): Do you miss the theatre? Michael Emerson: I haven’t done any in 10 years, but I miss it. I would like to start doing it again. It’s a little terrifying. It’s going to be hard for me to sneak back onto the stage. People are going to make a fuss about it and pay a lot of attention. I’m just hoping I can find a really wonderful script that some poor group is doing in a church basement, and we can start it small and maybe build an audience and not be over scrutinized from the start. That would be my wish. I don’t know what that project would be, but I have so many actor friends in this town. Sooner or later, some of us are going to hit on the right project, and we’re just going to start rehearsing it in our living room (laughs). Melissa Parker (Smashing Interviews Magazine): Do fans still stop you and want to talk about Lost? Michael Emerson: Oh yeah, because Lost never goes away. I run into young people every day that have just finished watching it, that have binge watched it, 100 episodes in a couple of months or something like that. Melissa Parker (Smashing Interviews Magazine): Shortly after you played Ben in Lost, Variety called you one of the greatest villains in television history. Michael Emerson: (laughs) That is such a mystery to me. In my theatre life, I was always the funny guy. I did mainly comic characters. I’m hoping that one of the things that would happen if I go back on the stage is I’ll get to be in funny shows again or get to play more outrageous or silly characters or eccentrics. That would be fun. I hope that happens. Melissa Parker (Smashing Interviews Magazine): Since you worked as an illustrator, do you still draw? Michael Emerson: I did a lot of pencil drawings all those years, but I hardly ever touch pencil to paper anymore. It’s funny. I think it’s all been maybe one career. Maybe I’m still an illustrator. I’m just working in a different medium with different tools because I really do feel like what I do now satisfies whatever urges or desires that graphic arts did for me. But who knows? Maybe later in life, if my life gets a little quieter, I might want to get a pad of paper and try to do it again. Melissa Parker (Smashing Interviews Magazine): I heard that you are new to Twitter. Michael Emerson: My publicist set me up with an account. I’m waiting for Carrie to get home to show me how to work it. Right now, my publicists are managing it, whatever that means. I sent it an opening blast of greeting tweets. Honestly, I don’t know what’s on there. It’s embarrassing. I play a computer genius on TV, and I can just barely work my own laptop. Melissa Parker (Smashing Interviews Magazine): Not a social media expert? Michael Emerson: No, my God, and I play the guy that invented it all. Melissa Parker (Smashing Interviews Magazine): What’s next, Michael? Michael Emerson: I haven’t got a darn thing. From this day forward, my calendar is empty. Melissa Parker (Smashing Interviews Magazine): How about a long vacation? Michael Emerson: I’m having a staycation, I guess. Carrie is so darn busy right now juggling several different projects that I hardly ever see her, so somebody needs to be here to hold down the fort, pay the bills and walk the dog. I’m happy to do that. This suits me. It’s a kind of hibernation. Melissa Parker (Smashing Interviews Magazine): Well, I wish you luck in future projects! Michael Emerson: Thanks! Somebody is going to want me to do something. It was nice talking to you. Great interview! Any chance of doing a similar piece with Michael’s co-star, Jim Caviezel? I am REALLY going to miss this series. If I can afford it, I will buy the set on DVD. Now that Sarah Shahi is a mom to three small children, I wonder if she will want to do television any time soon.